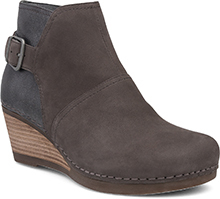 The Dansko Taupe Burnished Nappa from the Lila collection. 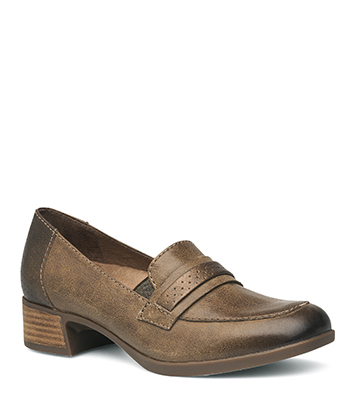 The Lila loafer gets down to the business of being one of this season's smartest looks. 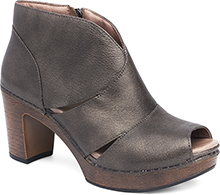 Worn leathers with subtle hints of contrast texture add plenty of character. Twin goring supplies a secure fit.